Fiona Bruce Solicitors was founded in 1988 by Fiona Bruce MP and moved to Stockton Heath in 1991. In 1998 Riley’s Solicitors was incorporated into the practice. In 2006 the firm became a Limited Liability Partnership. Our emphasis is on giving all our clients expert advice and quality service. We aim to train all our staff to the highest levels, and our lawyers are at the top of their profession. The firm has a strong ethos: our vision and values set us apart. We believe that an efficient, informed and courteous service is an expression of our Christian faith. We listen to your needs instead of putting you on a conveyor-belt. Our experience and expertise allows for solutions and support tailored to your specific needs. Our priority is to give you excellent advice and service without compromise, for a fair and competitive fee. We are one of only a handful of firms in the country who hold all three of the following quality standards - Lexcel, Investors In People and Conveyancing Quality Scheme. Indeed, we were the first sole practitioner Law Firm in the UK to gain Investors in People (in 1993) and the Law Society kite mark Lexcel (in 1998). We can handle a very broad range of legal work, both for your business and your family. All of our solicitors specialise in particular fields of law, so you can be sure of their competence. Several of them have additional qualifications in their specialist fields. 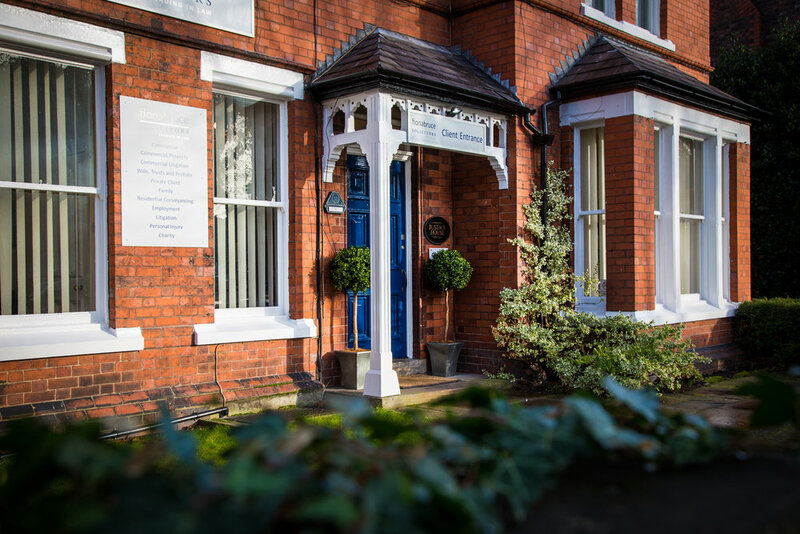 Our premises at 14 Grappenhall Road have client parking at the rear of the offices. We hope and intend that you will always be very happy with our work. The awards for quality held by the firm define the standard of work we should meet. The awards mean that our levels of service are annually assessed in detail by independent watchdogs. We are proud of our excellent reputation. However, if you feel we have missed the mark, we have a procedure in place to deal with that promptly and seriously.